~~"THE STREAKERS CLUB"~~ AEaster19 player that scores a 20 or more card streak in aEaster19 *GOLF SOLITAIRE* tour thru out the month, will get an invite to a special invitation only tour in the following month. Click on the pic icon to view current months progress on a spreadsheet. Good luck!! 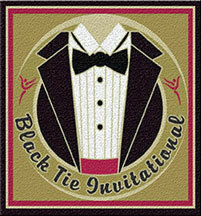 ~~"THE BLACK TIE INVITATIONAL"~~ A player that "ties" another player in a round of a tour, thru out the month, will get an invite to a special invitational only tour in the following month. Click on the pic icon below to link you to the list so far this month. ~~"DCR'S HTH/HS" & "HIGH SCORES, TIES, STREAKS, & MORE"~~ Each brand new month, we will be looking for a new top scorer and hth, til the end of the month, for gems. We have added all high scores, ties, streaks, & more on this spreadsheet so players can view they're progress in one place. 18gems are awarded to the player with the high score in each game at the end of each month. All scores re-set each month & players can visit previous month by clicking on the bottom monthly tabs. Click on the dcr icon pic below to link yas to this spreadsheet. ***PARTY SUPPLIES*** Collect Party Supplies to fill up your Goodie Bags! Click on the pick below to view your collection so far. III. Have fun Laugh so hard ya fall outta your Seat!